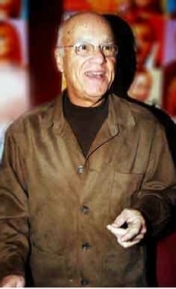 Jerry Leider enjoys a life-long career in the entertainment industry as a motion picture and television producer, and major film studio, network and talent agency senior executive. He most recently executive produced with Francis Ford Copolla the feature film version of Jack Kerouak’s cult classic novel, On The Road, directed by Walter Salles (The Motorcycle Diaries) with an all star cast, including Sam Riley, Garret Hedlund, Kristen Stewart, Kirsten Dunst, Amy Adams and Viggo Mortensen, which had a major worldwide theatrical release in 2011. In the last seven years he produced six films: the soon to be released high-school comedy Just Peck starring Keir Gilchrist, Brie Larson, Marcia Cross, Adam Arkin and Camryn Manheim, as well as three family movies for Disney, Confessions of a Teen Age Drama Queen starring Lindsay Lohan, Cadet Kelly, starring Hilary Duff (the Disney Channel's highest rated non-musical Original Movie), and My Favorite Martian, starring Jeff Daniels, Elizabeth Hurley and Christopher Lloyd as well as, for Showtime, the highly acclaimed romantic comedy Coast to Coast, that stared Richard Dreyfuss and Judy Davis, and for CBS-TV Mayday an action thriller based on the hit novel by renowned author Nelson De Mille. Mr. Leider is currently developing a full slate of feature and TV/ cable projects planned for production within the next eighteen months. Most notably the feature films Fool Me Twice, How to be Bad and One in a Million. In addition to these films over the past three decades Mr. Leider, has personally produced, executive produced, or supervised the production of more than twenty feature films, including The Jazz Singer starring Neil Diamond and Laurence Olivier, the Academy Award nominee Sophie’s Choice starring Meryl Streep and Kevin Kline Welcome Home Roxy Carmichael with Winona Ryder in her first feature starring role, and the thriller cult classic films The Stepfather. For six years, he was Chairman and CEO of the ITC Entertainment Group, an international television and film producer and distribution company with office in Los Angeles, New York, London and Perth, Australia. More than thirty television and cable movies and mini-series were produced and aired during that time on all three networks, HBO and Showtime including Poor Little Rich Girl starring Farrah Fawcett, Malice in Wonderland starring Elizabeth Taylor, Unnatural Causes, a Golden Globe Award winner starring John Ritter, Sidney Sheldon’s Windmills of the Gods and the award-winning Billionaire Boys Club. He also independently produced a number of network television movies including three romance novels by LaVyrle Spencer for CBS as well as Alistair Maclean’s international thriller, The Hostage Tower, also for CBS, and Stephen King’s horror novella Trucks for the USA Network. Mr. Leider was President of Warner Bros. Television in Los Angeles where he presided over numerous popular and profitable weekly television series including such hits as The FBI, Kung Fu, Wonder Woman and Alice. Making the shift to feature production he took on the position of Executive Vice President of Foreign Feature Production, based in Rome, Italy, where he supervised the financing and production of fifteen Warner Bros. international films including Madam Rosa starring Simone Signoret, which won an Oscar for Best Foreign Film. Mr. Leider was a senior program executive at the CBS Television Network in New York prior to joining the Ashley Famous Agency. Before CBS, Mr. Leider produced plays in New York and London. Among his Broadway successes were Sir John Gielgud’s outstanding one-man show The Ages of Man and The Visit starring Alfred Lunt and Lynn Fontaine. In London, he produced the equally acclaimed Tennessee Williams drama Suddenly Last Summer, that starred Patricia Neal. He is a long-time member of Motion Picture Academy and the Television Academy, a three-term Chairman of the Los Angeles Caucus of Producers, Writers, and Directors, and past president of the Hollywood Radio and Television Society. A frequent guest lecturer for the Film and Television programs at USC, UCLA, and the Newhouse School at Syracuse University, his alma mater, he was also a Fulbright Scholar in Drama at Bristol University, England.